The classic rags-to-riches story featuring the sweet-natured but put-upon heroine, and a charming Prince. 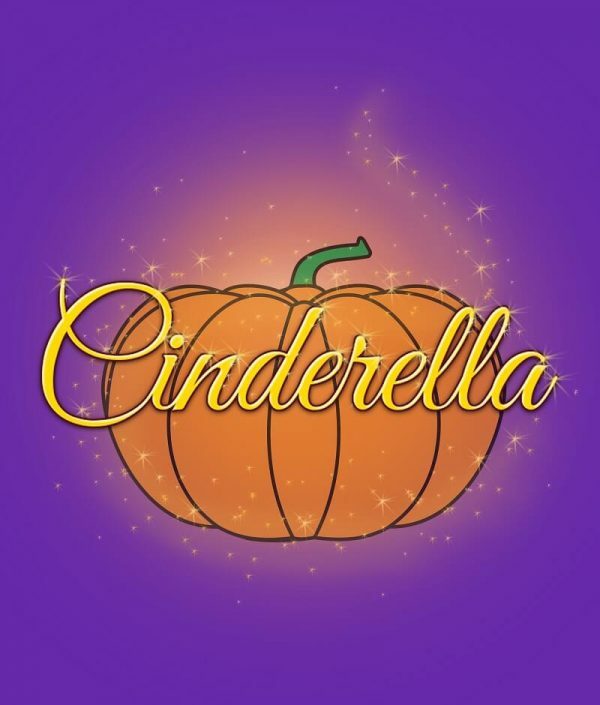 Cinderella’s stepmother and two ugly stepsisters do everything possible to prevent Cinderella attending the royal ball, thus ending her dreams of marrying a prince. But they reckon without her Fairy Godmother and the odd glass slipper. 12 principals plus 2 smaller roles and a chorus. Buttons runs on (SL) calling. The Uglies enter through the door and drop their luggage on the floor. (looking around) What a dump this place is. I thought mother said that old Baron Hardup, was loaded. Perhaps he’s an eccentric millionaire. You know the sort. Millions in the bank, but still goes around dressed in rags. Well he’d better not expect us to do likewise. (to audience) I can’t find Cinders anywhere. (spots Uglies and whispers to audience) They must be the Baron’s new stepdaughters. (to Buttons) Who are you? Can you prove you’re not a burglar? Well everybody knows that burglars wear striped jumpers and masks, and carry a big bag with ‘SWAG’ written on it. He’s right Lambrini. I saw it once in an old silent movie. Are you sure you weren’t in it? (threatens him) Watch it, buster. My name’s not Buster, it’s Buttons. And I’m the butler here at Hardup Hall. Then maybe you can tell us who in let this…(indicates audience)…riff-raff! The Baron’s opened Hardup Hall to the public, to help bring in more money. Well I hope they’re house-trained. (to audience) Have you all wiped your feet before coming in? (peering out) Some look like they haven’t even wiped their faces, never mind feet. Cinders! I’ve been looking everywhere for you. What did you want Buttons? (glances at the Uglies) It doesn’t matter now. (to Uglies) Hello there! You must be my new stepsisters. Father said you’d be arriving today. Then why didn’t you come and meet us and carry our bags? I meant too. But I’ve been up all night cleaning out fireplaces, and was so tired that I fell asleep. Mother said you were always falling asleep on the job. She also said you were a ‘lazy good for nothing, layabout’. Cinders isn’t lazy! She works really hard she does. Thank you, Buttons. And you work really hard too. What’s this, a mutual appreciation society? Hello Cinders. I see you’ve met your stepsisters…(introducing them in turn)…Lambrini and Prosecco. (to Buttons) Buttons, take the bags up to their rooms. Yes, Baron. (takes the Uglies by the arm) This way, ladies. I meant their luggage, Buttons. Sorry, my mistake. (struggles to lift the cases) Gnnng! What’s in these cases? So that’s ten kilos of Polyfilla. (to Prosecco) And what’s in yours? See you later girls. (holding up his pension book) I’m just off to collect my pension. (grabs the pension book) I’ll take that. My girls will fetch it for you, and save your old legs. (takes the book) Thank you! (to Baron) I’ll go with them, father. Oh no, you won’t. You’ll be too busy doing chores. And try not to fall asleep this time. (waving the pension-book at Lambrini) Let’s go shopping sis’. Oooh, yes! I’m going to buy myself a whole new outfit. My pension isn’t for spending on new outfits for you two! You can’t expect the girls to dress in tatty old clothes. Tatty clothes are all I ever wear. It’s hardly our fault you have no dress sense. Although somehow, tatty clothes seem quite suited to her. Uglies exit (SL) laughing as Buttons enters with a sackbarrow. (to Baroness) How am I supposed to pay the bills, if they spend all my money? (sighs) Poor father. I feel so sorry for him. I wish I could, Buttons. I wonder what Buttons is up too, now? Buttons re-enters hiding a Teddy Bear behind his back. I’ve got something here that’ll help to cheer you up Cinders. (intrigued) What is it Buttons? It’s something I’ve spent years playing with in my bedroom, and it’s given me lots of pleasure. Now close your eyes and hold out your hand, and I’ll give it to you. (feeling the Teddy) Oh, it feels lovely and soft. I wonder what it could be. (opens her eyes) It’s a teddy bear! Oh Buttons, how sweet of you. Never mind, I’m sure he’ll look much better once I’ve stitched his arm back on. And replaced his missing eye and put some more stuffing in. I mean, his name’s ‘Fred Bear’. I’ve had him ever since I was a child. You’re giving me your favourite teddy? I thought you might like to cuddle it in bed at night, whenever you feel a bit down. (hugs him) Oh, I do love you Buttons! …I’m really sorry Buttons, but I think you misunderstood me. You mean, you don’t love me? I do love you Buttons, but only as a friend. (sighs to audience) So near and yet so far. Uglies enter (SL) carrying Primark shopping bags. A pension doesn’t go very far these days, does it? You’re telling me. We couldn’t afford to shop for designer outfits and had to settle for Primark instead. Father’s pension won’t stretch to buying you designer outfits! Any outfit would have to stretch to fit those two. How would you like us to stretch your neck, Brackets? SFX: Loud knocking at door. (to Prosecco) It could be the store-detective! (to Lambrini) Let’s get out of here, quick! Out of our way you decrepit old fool! Baroness enters (SL) as Cinderella and Buttons help the Baron to his feet. I see your father has reached the falling down stage, Cinderella. I’d better order him a zimmer-frame. I don’t need a zimmer-frame! Your clumsy daughters knocked me over as they rushed off. Then maybe you should move out of the way a bit quicker. SFX: Louder knocking at door. Buttons opens the door and Count de Cash enters. Greetings! I am Count de Cash. What can we do for you Count? I’m afraid you’re several weeks overdue with the rent. Really? (snaps at Baron) Why haven’t you paid the rent? But I gave you the money to pay it. Paying the rent is your responsibility. I don’t care who pays me, just so long as I get it. (to Count) I’m afraid I’m financially embarrassed, at the moment. And he’s skint an’ all. Ever since father re-married, his portfolio has shrunk to almost nothing. (dryly) It wasn’t very big to start with. (to Count) Perhaps we could come to some arrangement, Count. (leering at Cinders and stroking his chin) Mmm. Yes, perhaps we could. Anything Count, just name it! Very well then. Allow me to marry one of your daughters, and you won’t have to pay rent ever again. Uglies rush on (SL) jostling for position. Yes, girls. Count de Cash has kindly offered to waive our rent, in return for marrying one of you. (facing each other) Me! Me! Me! Which one of my beautiful daughters tickles your fancy, Count? (indicating Uglies) Well neither of these two old hags for a start. But that only leaves Cinderella. (rubbing his hands with glee) Indeed. Cinders can’t possibly marry you, Count! (to Count) I’m sorry, Count. But I’m afraid you’re a bit too old for me. Don’t be ridiculous girl. Money is ageless! (to Cinders) Marry me and your family can live here rent-free. Refuse, and you’ll all be out on your ear by tomorrow. No pressure. I’m sorry Count, but when I marry it will be for love and not money. (to Cinders) Do you want us all to be evicted? (harshly) Then you must marry the Count! Don’t worry, Cinders. I’d never force you to marry against your will. We’ll find the money somehow. (to Cinders) You, selfish girl! You could’ve set us up for life! How are we going to pay the rent now? Well you two could get a job for a start. I need to have a lie down. Well I hope it’s better than the one you’ve got on at the moment. Thanks for sticking up for me father. (does fist knock with Baron) Yeah, respect Baron. Thank you, Buttons. But it does leave me with a big problem. Namely, how to raise the rent money. Couldn’t you extend your overdraft, father? (exclaims) I’ve got it! Why don’t you have a car-boot sale? The only table we have is in the kitchen, and I have to use that. Well it’s a very kind offer Buttons. But how will treating us to a meal, help? No Baron, it’s the name of a TV cookery programme. You cook a meal and invite people round. And whoever cooks the best meal, wins £1,000. Forget it Buttons, the pantry’s empty. I’ll give you a hand Baron. (to Cinders) See you later Cinders. I couldn’t bear to see father losing Hardup Hall. Maybe I should put my own feelings aside and marry Count de Cash after all. Music cue 4: Cinderella. After song ends…She slowly hangs her head or walks off as lights dim.